Manuel A. Martinez is an attorney with the Northern California law firm of Lubin Olson & Niewiadomski LLP, where he serves as partner with the firm's litigation, construction law, and finance and workouts practice groups. 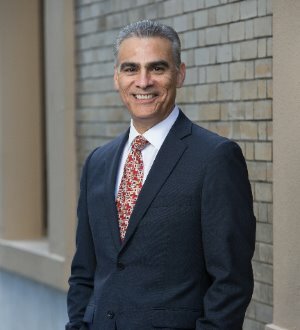 Representing the rights and interests of a diverse range of clients throughout the Greater San Francisco Bay Area and all across the state, Mr. Martinez focuses his practice primarily on real estate and construction law, business law, partnership disputes and fiduciary matters. A 1981 graduate of Yale University, Mr. Martinez returned to his alma mater and obtained his Juris Doctor from Yale Law School in 1984. He received his license to practice from The State Bar of California that same year, and he is also admitted to practice before all U.S. District Courts in the state as well as before the U.S. Courts of Appeals for the 8th and 9th Circuits. During the course of his career, Mr. Martinez has achieved notable success handling jury and bench trials, arbitrations and summary judgment motions on behalf of real estate developers, commercial landlords, public and private corporations, lawyers, accountants, financial institutions, and others in both state and federal courts. Recognized for his impeccable professionalism and exceptional legal abilities, he has earned numerous awards and honors, including selection by The Best Lawyers in America© in commercial litigation for the past two years. Mr. Martinez was honored by Thompson Reuters as a Northern California Super Lawyer© in 2018. In addition, Bay Area Lawyer Magazine has voted him as among the "Top Lawyers in the Bay Area." He also was recognized by TopVerdict.com© for obtaining one of the Top 100 Settlements in California in 2017. Along with maintaining a successful legal practice, Mr. Martinez is active in his legal community, and he once served on the judiciary committee for The Bar Association of San Francisco. He is also a member of the litigation and real estate sections of The State Bar of California as well as a member of the Association of Business Trial Lawyers, Northern California Chapter. Prior to joining Lubin Olson, Mr. Martinez practiced with Orrick, Herrington & Sutcliffe in San Francisco.